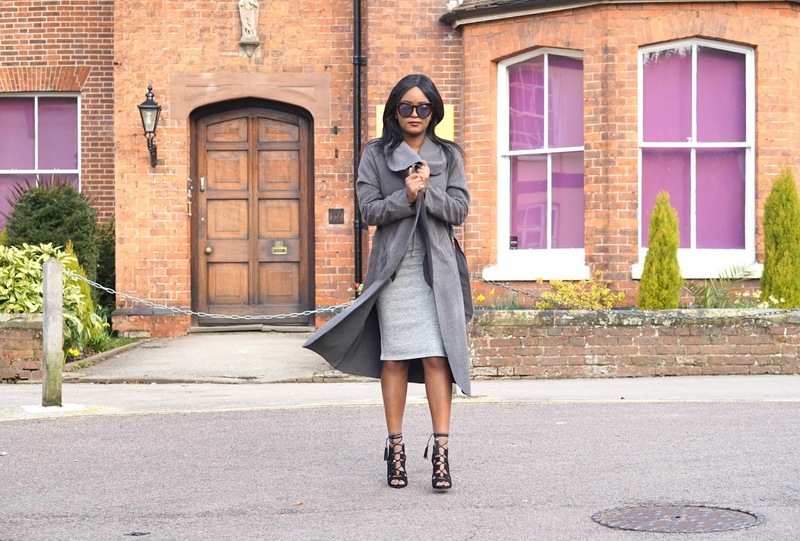 YASSSS to everything about this look! I'm a Clothesaholic, sue me. I almost feel like there is no greater feeling at times, than when you have a new addition to your wardrobe. It might completely be a me thing, or a girly thing - I'm not sure, but DW is about style honesty! 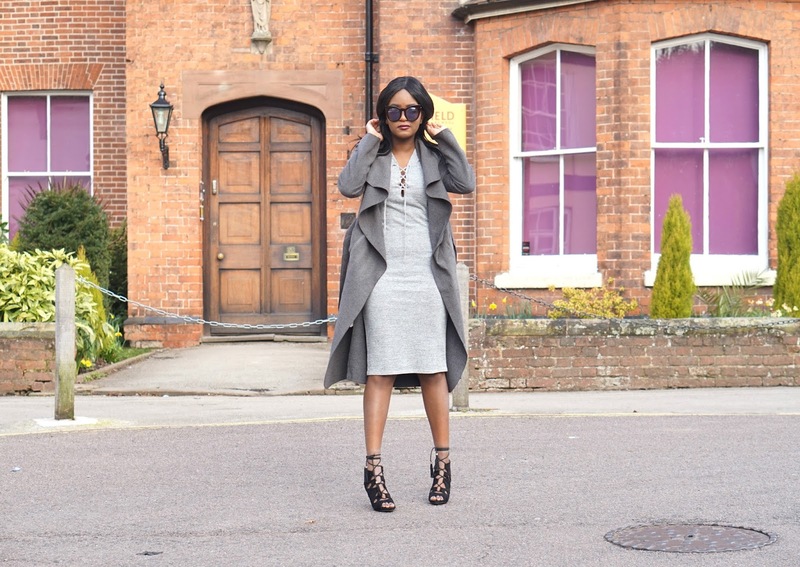 I'm wearing this new and ridiculously awesome grey dress from CelebLook. 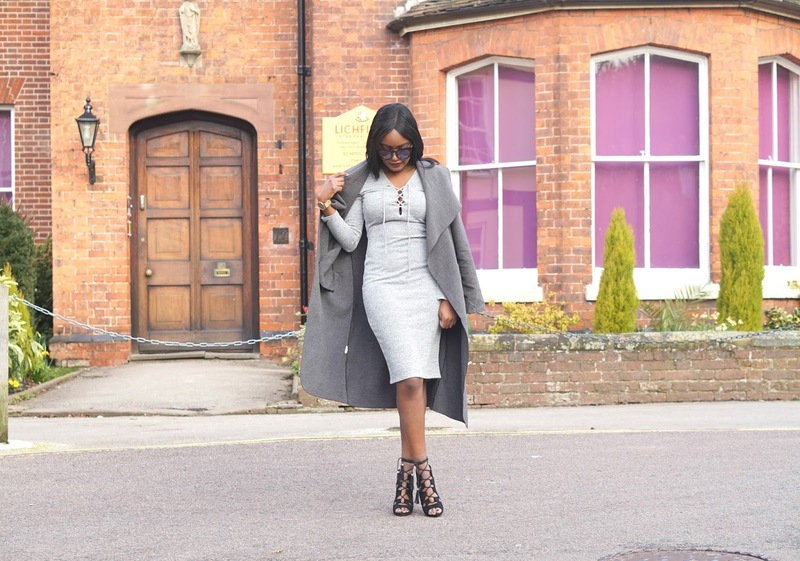 I've been seeing the lace up dresses trend for a while now, but have been too wary to get one because the ones that I have seen in the past have been too low cut for my personal style. That was of course, until this dress. 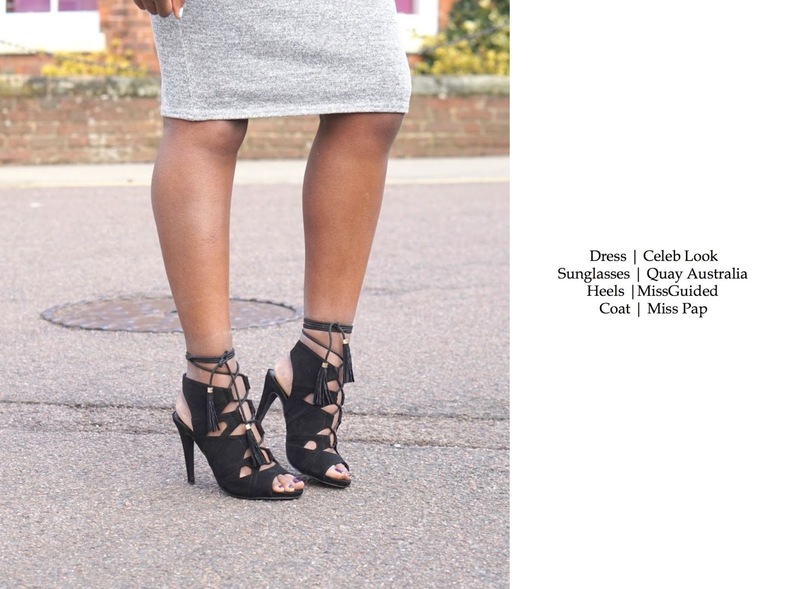 My Lace Up Heels from MissGuided made their debut a few posts ago and I am literally in awe, each time I lay my eyes on them. They are certainly stunning and will be a making a comeback fairly regularly on DW. 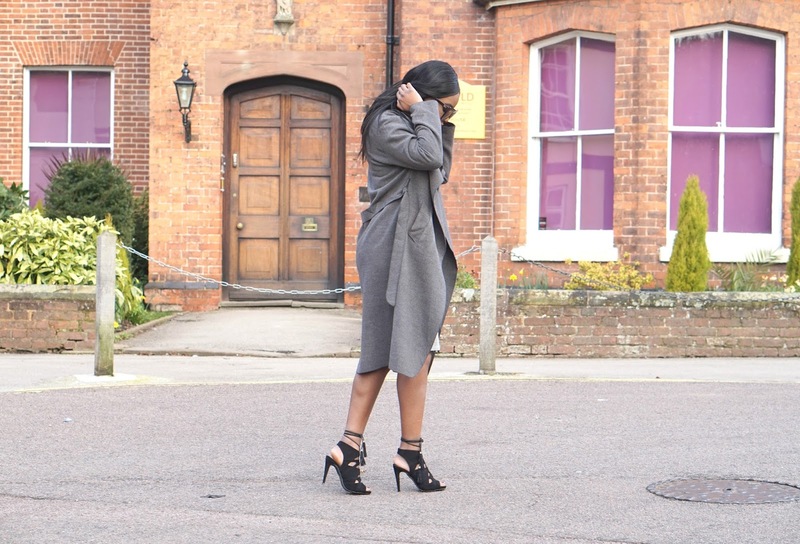 Also worn in this post is my fave Cha Cha Quay Australia beauts and Waterfall Coat.